Directly across the Bering Sea from Alaska, Kamchatka has a similar rugged natural beauty. The expansive landscape is home to brown bears, and it includes some of the world’s largest geyser fields, more than 30 active volcanoes, and so many rivers and streams there isn't a reliable count. Though the hunting, fishing, and trekking bring visitors from all over the world, Kamchatka has a very small permanent population; although it’s a peninsula, it kind of feels like an island. Commercial salmon fishing is an anchor of the region’s economy. The fishing season usually begins in late June and lasts just a few months. 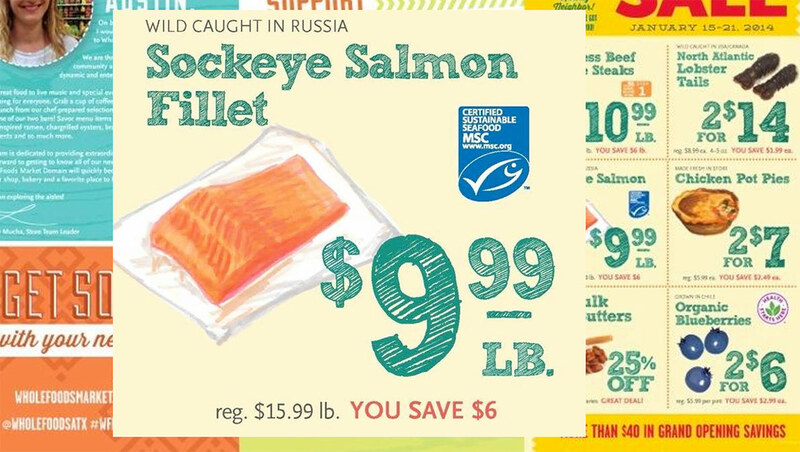 But during that short window, Kamchatka salmon fishing operations yield about 140,000 metric tons of salmon. And the odds are that you have eaten some of it. Most of the fishery’s product is sent for processing in Japan, Korea, and China. From there, it is sold throughout the world, including to buyers in the United States and Canada markets, reaching consumers through restaurants, hotels, and retailers like Whole Foods. 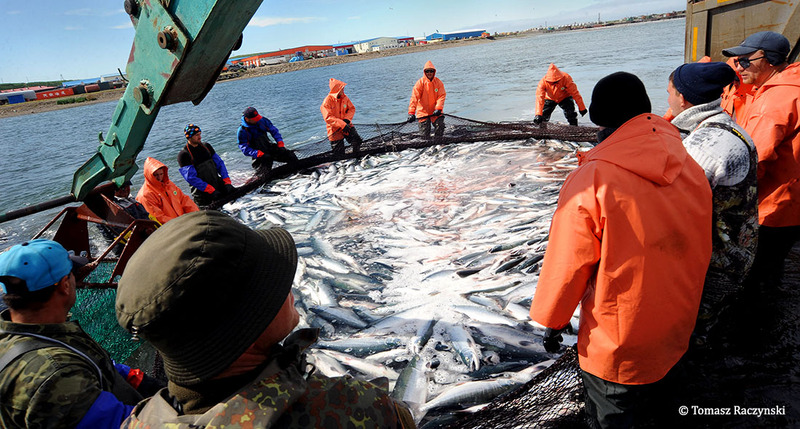 Ocean Outcomes launched the Western Kamchatka Salmon fishery improvement project (FIP) with a 2014 assessment of the fishery’s environmental sustainability. But our work in the region began much earlier. 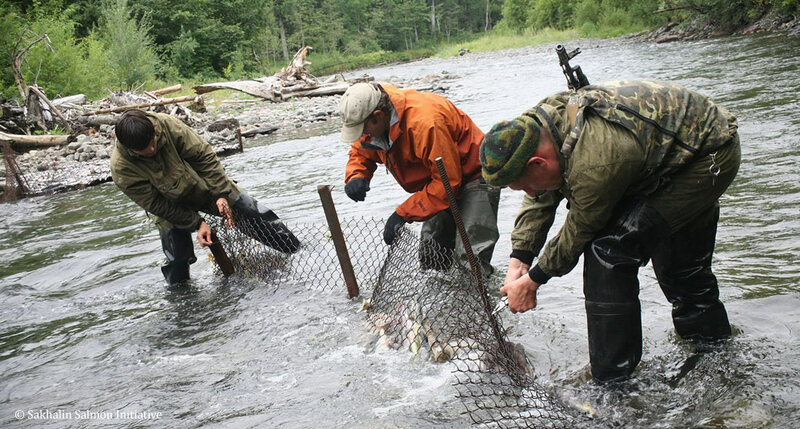 While still a program of the Wild Salmon Center, we began working on the ground with Kamchatka’s leading fishing companies as early as 2008 in a project that ultimately led to the successful certification of the Ozernaya sockeye fishery. Those relationships continue to serve as the foundation for the FIP’s ongoing work. The 2014 assessment was a critical first step, because a major obstacle to effective sustainability efforts was a lack of consistent data. During the Soviet era, the environmental health of Kamchatka’s salmon fishery was closely monitored. But as the Soviet Union collapsed, environmental science quickly lost funding, and data became rarer and much less reliable. The FIP’s assessment confirmed that the fishery had, on the whole, been well-managed. But a number of concerning indicators served as guideposts for the FIP’s work. Two that jumped out were the fishery’s lack of escapement goals and illegal fishing. “Escapement” is exactly what it sounds like – a measure of the number of salmon that escape fishing to reach their upriver spawning grounds. Below-target escapement is a sustainability risk for the most basic of reasons – it means there just aren’t enough fish returning to spawn to replace the ones caught by fishing operations. The assessment identified the need for the FIP to prioritize strengthening management to improve escapement goals. While the fishery-wide data was not concerning, river-specific escapement information was often unavailable. Because salmon return to the river where they were born to spawn, stocks are river-specific, so attention to each river’s specific escapement rates was essential to ensuring the fishery’s sustainability overall. Poaching was a different story. While some rivers had been spared the worst effects of poaching due to their remote location, many salmon populations were still being hammered by illegal fishing. Types of illegal fishing ran the gamut from out-of-season fishing to operations that employed unsanctioned gear to teams of in river caviar poachers stripping females in the spawning grounds. Our approach to these issues is characteristic of an effective FIP- cultivating trusted relationships with fishing companies and pursuing reforms in partnership with industry. The Western Kamchatka Salmon FIP has consistently worked with two key fishing industry partners: Vityaz-Avto Ltd. and Delta Ltd., which are the two major players in the region, with prominent brands accounting for a significant share of Kamchatka’s typical annual salmon yield. River-specific escapement goals were more logistically complicated, but both firms understood the importance of this change. Because they each fished specific rivers, region-wide escapement information was a poor indicator of the long-term viability of their individual salmon supplies, so the FIP was able to demonstrate a clear business interest in securing river-specific data. Delta and Vityaz-Avto both worked with the FIP to push KamchatNIRO, the regional research agency for an assessment of salmon escapements into individual rivers. That assessment led to Kamchatka’s first-ever river-specific escapement goals for chum, pink, and coho salmon. With this critical step in place, the FIP and fishing companies were able to effectively monitor progress toward those goals. When necessary to reach the goals, companies now routinely add more “passing days” (again, literally a day during salmon season when salmon are allowed to pass to improve escapement rates). As a result of these and other practice improvements, the fishery has a clear picture of how efforts in each river contribute to the attainment of fishery-wide goals. The fishery’s assessment showed concerning evidence of illegal fishing by both commercial fishermen and in river poachers with horror stories of rotting carcasses, discarded buckets of caviar, and illegal Chinese made gillnets. For the FIP’s fishing company partners, this was a sensitive and concerning topic. But because we had established trusted relationships with industry partners, the FIP participants were able to get past any initial defensiveness and finger-pointing and begin earnest conversations about a coordinated poaching prevention effort. Today, Vityaz-Avto and Delta lead a joint effort to organize, fund, and dispatch anti-poaching brigades in the region. These patrols are now a well-known fixture along the Western Kamchatka coastline, with teams traveling up and down Kamchatka’s rivers in search of poaching activity. Today, the FIP efforts have produced the desired result: making poaching more difficult and less prevalent. Efforts to address escapement, poaching, and other priorities are bolstered by the contributions of independent observers. Because the FIP has developed effective working relationships with Vityaz-Avto and Delta, independent observers now routinely accompany both companies in the field to observe fishing operations. Since both companies are vertically integrated, these relationships also grant independent observers access to both companies’ processing facilities, to assess the progress of sustainability efforts after the catch, as well. Observers also record what they observe, entering data that helps to promote traceability and deter illegal, unreported, and unregulated fishing. Independent observers are not police, but they are always watching, making notes, and asking questions. They ask about the gear used to bring in the day’s catch, the handling of non-target species, and dozens of other issues. And, because the FIP has built productive relationships with industry and works hard to maintain them, they get answers. Ask us what we’re proudest of, and you’ll hear us talk about the people. And, together, they are doing a better job, and their work is delivering real results. Three Kamchatka salmon fisheries were recently certified as sustainable by the Marine Stewardship Council (MSC). Observers have documented significant reductions in illegal fishing, and MSC cited stronger regulatory enforcement and improved traceability while certifying these fisheries. While MSC pointed to the need for even more progress on escapement rate monitoring, certification is an important indicator of meaningful progress. The Western Kamchatka Salmon FIP demonstrates commercial fishermen can be an effective partner in driving real change on the water. In fact, to deliver real change on the water, industry has to be at the table. And the Western Kamchatka Salmon FIP shows that industry has a business interest in making fisheries more sustainable. If conservation advocates and fishing companies are able to identify shared interests and forge effective working relationships to address them, fishery improvement projects can deliver real and meaningful sustainability improvements.